If sheer brute power is your goal, opt for the SL63. It's almost as quick in a straight line as the vastly more expensive SL65, but handles better. 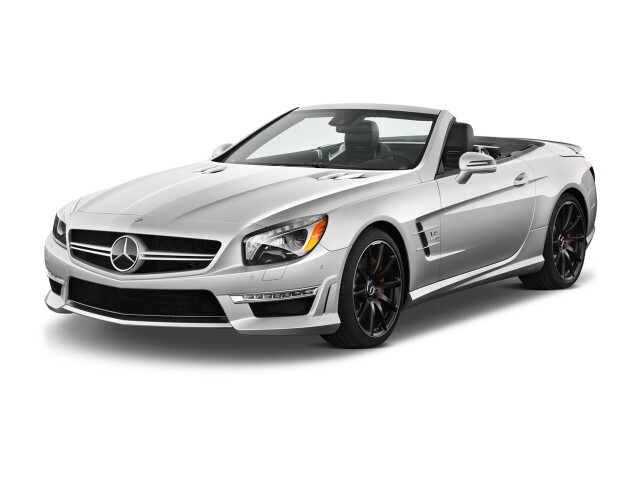 The 2016 Mercedes-Benz SL-Class offers relaxed luxury and willing power, but delivers nimble moves when called upon. Over its 60 years on the market, the Mercedes-Benz SL has gained power, size, and a great deal of luxury. The current model was launched for 2012, and offers a driving experience that can become intense—but only if the owner wants it that way. The 2016 SL isn't a sports car in the classic sense, but a very luxurious two-seat convertible that manages to blend nimble on-road behavior with seemingly effortless power. 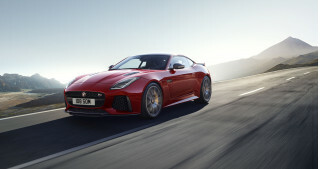 It provides a unique mix of attributes that distinguishes it from the elegant Jaguar F-Type, the Porsche 911 range, the Chevrolet Corvette, and the brutal but undeniably fast Dodge Viper. If the current design is any indication, the SL is working its way back gradually to the glory days of Mercedes two-seaters. If you never cared for the bank vaults penned by Benz in the early 1990s, the exuberantly wide, brash new SL is a crisp, masculine relief. It's emphatic from the front, charming with the top down, and a bit of a mismatch from the rear where the tapered look and taillights seem to come from another car or another studio entirely. The cockpit is executed with precision, drilled with aviation-style vents, and implanted with a big LCD screen. On the road, the SL is more of a grand tourer than a pure sports car. We actually prefer the SL's base two-mode suspension, with or without the sport wheels and brakes, to the exotic and expensive Active Body Control upgrade. The cheaper setup's "sport" mode feels more like "comfort," but the stock SL handles wide sweepers with grace, albeit with a fair amount of body roll. The SL's electric power steering doesn't offer up much in the way of feedback, and quickens the further it moves off-center, which makes for some uneven transitions. Human brains can handle that much data, but adding on the active suspension, which resists roll, feels like overload. The ride flattens out as promised, but it also adds another complex handling dimension that's not as linear or as predictable as a more conventional setup. That new base engine marks the return of V-6 power in the SL400 model. 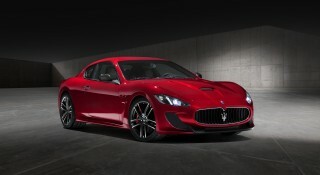 It is powered by a 3.0-liter twin-turbocharged V-6 that makes 329 horsepower and 354 pound-feet, and is showing up in almost every product the company offers. We haven't sampled it in the SL yet, but can assume it provides a more leisurely pace, perfect for those who'd rather cruise than race from stoplight to stoplight. That said, Mercedes promises a 5.1-second 0-to-60-mph time, so it isn't slow. After adding a new base engine last year, the step-up SL550's V-8 gains 20 horsepower and Mercedes adds a special run of 400 Mille Miglia Edition SL550 models with special paint, upholstery, and trim pieces. This car's twin-turbo V-8 displaces 4.7 liters and produces 449 hp and 516 lb-ft. The SL550 accelerates to 60 mph in the mid 4-second range, and its combination of a downsized V-8 engine, a 7-speed automatic, and a stop-start system also manages to earn a 20-mpg combined EPA fuel-economy rating. Top speed for the U.S. is limited to a relaxed 130 mph. The SL63 AMG hits the sweet spot of power and handling. 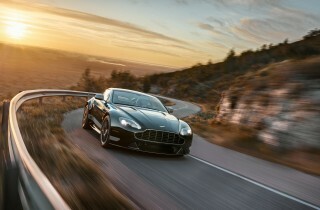 It makes this luxury roadster feel more serious about the performance promises built into its the racy roadster bodywork. The brawny, 530-hp twin-turbo AMG-built V-8 and special wet-clutch 7-speed AMG automatic transmission get you to 60 mph in a scorching 4.1 seconds. Add the Performance Package and you get 557 hp and 664 lb-ft, with a top speed bumped to 186 mph and 0-60 lowered to 3.9 seconds. And if that's not enough, you can step up to the SL65 AMG and its twin-turbo V-12 and 7-speed automatic transmission, making a mammoth 621 hp and 738 lb-ft of torque. There's plenty of acceleration on hand, but the big V-12 increases weight on the nose and hurts handling. The cabin has great room and fine fittings. The chairs are wide, and can conform snugly to a surprising range of body types, thanks to 12-way adjustments, the most useful of which may be the bottom cushion extender. There's plenty of shoulder and elbow room, but the tight space behind the seats is only wide enough for a briefcase. The trunk holds a roll-on bag or two with the roof raised, or only soft-sided bags when it's lowered, though a trunk button powers the stowed roof panels up and out of the way for easier cargo loading. All SL models come with Mercedes’ COMAND infotainment system, which includes a 7.0-inch display screen, a DVD changer, web browsing with Google search functionality, and an available navigation system. Among the list of the SL's impressive standard and available creature comforts are Airscarf neck vents and the folding hardtop with available Magic Sky Control, which turns the roof's glass panel dark like a pair of pricey sunglasses. A Bang & Olufsen sound system can replace the standard Harman Kardon setup, but we're not sold on its bass response or its huge price tag. Prices go along with the "S-Class of sporty cars" mantra. They start in the mid $80,000s and blow past $200,000 for the SL65 AMG—and that's before options. Because it's so expensive and Mercedes sells relatively few of them, the SL hasn't been crashed by either of the two big national testing agencies, but all the latest safety tech is available, everything from Bluetooth to knee airbags to adaptive cruise control. Attention Assist—the digital coffee-cup warning—is standard, and at these prices, we think the rearview camera should be as well. It's bundled in a safety option package along with parking sensors and parking assist, which dials the SL into a tight spot for you, while you manage only the brake. A Driver Assistance Package bundles automatic emergency braking, radar cruise control, blind-spot assist, and lane-keeping assist. Given its sporty demeanor and large V-8 and V-12 engine options, it's no surprise that the SL is thirsty. However, fuel economy isn't completely abysmal, and the V-6-powered SL400 is more efficient and less expensive than the rest. That SL400 model, with its twin-turbo V-6, returns lineup-leading and relatively respectable mileage numbers of 20 mpg city, 27 highway, 23 combined. The SL550 is rated at 16/24/19 mpg, which is down one mpg in the city from last year. Step up to the more powerful SL63 AMG model, and you actually gain one mpg on the highway compared to the SL550. If you're looking at the SL65 AMG, however, you'll only earn 14/21/17 mpg, which is poor, but not terrible considering its immense power. The SL is bold and sporty, but the look is somewhat uneven front to rear. Over the years, the Mercedes-Benz SL has gone through many design generations, ranging from sensational gullwings and pagoda-roofed coupes, to duller, softer—yet still completely fabulous—vehicles like the "Dallas"-era cars and bank vaults from the early 1990s. Even so, they all have a distinct look that ties them together, and that remains true for the 2016 model. The view is best from the front quarters, where you get a good view of the SL's doors that are stamped with straked C-scoops that pierce the door handles. From the rear, the SL has a lot in common with the SLK. With the top up, the slope of the roofline and teardrop-shaped taillights are out of balance with the front end, but with the top down, they fall more smoothly into line. If it appears the rear end was designed by a different person than the front, that might actually be the case. There's a disconnect around the B-pillar, with the rear tucking in and sort of drooping down from the passenger compartment to the end of the trunk. We expect a mid-cycle refresh will do a lot to fix this issue, and that should be along in a year or so. The design can be confusing. It sits somewhere between the more dramatically styled SLs and those that were more subtle, with some portions leaning one way and others at the opposite end of the spectrum. The front end is imposing—thanks largely to European safety regulations that require taller hoods to protect pedestrians in accidents—but avoids looking heavy. 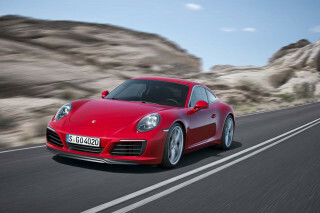 That leaves the SL with a large nose, more like those of the '60s models, which leads to a more formal-looking profile. The oversized grille and large air dams help negate some of the apparent size, and the large, rounded headlights team with attractive LED running lights. Inside, the two-seat cockpit feels technical and masculine in its execution. Four gimbaled vents are chrome-tipped with four-pointed stars, and they anchor the dash, split up here and there by a pair of cut-tube gauges, a large instrument display screen, an optional hooded analog clock, and a band of trim, available in either warm or dark polished wood, aluminum, or carbon fiber. There are two rows of stitching through the leather, there's enough metallic trim to embarrass an Audi, the steering wheel's slightly flat at its bottom, and the shifter is just a nubbin on the center console. The small shifter does have the advantage of opening up the cabin and making room for other controls and storage, but we would also like a manual. The SL is more of a grand tourer than a pure sports car, but the AMG offers plenty of excitment. While nimble and powerful, we wouldn't call the base SL a sports car, but it's absolutely the luxurious, sporty touring roadster those SL loyalists have loved for so many years. It's essentially a Teutonic homage to the classic Thunderbird, albeit one with space-aged technology and comfort that older cars never offered. On the ride and handling front, a stiff body with lots of aluminum, a boatload of add-on electronics, and Mercedes Direct Steer electric power steering creates an agile, engaging driving experience. Engineers have set up the direct steer system with one programmed set of responses that depends on vehicle speed and distance off-center, while transmission and suspension settings have at least two driver-selectable modes. Direct steer feels stable on center, and has quicker responses farther off center to minimize wheel movement. But like other electric steering systems, the steering lacks some vital feedback and steering heft—some of the haptic stuff that's arguably a hallmark of Mercedes cars. At the same time, the SL comes either with a conventional multi-link suspension with two-mode adjustable shocks or with the upgrade Active Body Control active suspension. 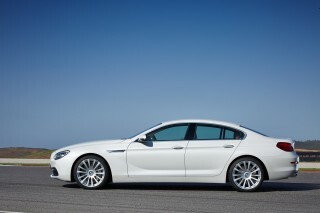 It also has torque vectoring—inside-wheel anti-lock braking that tightens cornering. After a couple of hundred miles split among all versions (there's a sport package on base models), we preferred the base car's more natural feel. It's comfortably tuned without overstepping into loosely plush too often. Long, low rises can set up bounding motions in the suspension, and body roll's never far away, but the same holds true for a base Jaguar XK or Maserati GranTurismo. Good weight balance helps the SL feel neutral in tight esses, and just a nudge of the throttle liberates all that torque, and pulls a wide line closer to true. Choosing the ABC suspension doesn't add much to the SL's driving experience. It does as promised: it flattens out the SL's ride, but that raises the sporting stakes. Great in sweeping turns and lightly undulating surfaces, the quick throttle, light and nonlinear steering, torque-adjusting brakes, and constantly adjusting shocks don't work as well in concert during hotter performance runs. Turn in sharply with an ABC-equipped car, and the quickest transitions go soft-focus, just when the brakes want to hone the corner down further, and just while the suspension is still filtering off the abrupt highs and lows it's finding in the corner. When it comes to power, the SL offers a lot of it in four different flavors. The SL400 is motivated by Benz's 3.0-liter twin-turbocharged V-6, which makes 329 horsepower and 354 pound-feet of torque. We haven't sampled it in the SL yet, but can assume it will provide a more leisurely pace, perfect for those who'd rather cruise than race from stoplight to stoplight. That said, Mercedes promises a 5.1-second 0-to-60-mph time, so it won't be pokey. The 4.7-liter twin-turbo V-8 in the SL550 whips out 449 hp, up 20 horses from last year, and 516 lb-ft. Big power comes on as early as 1,600 rpm, giving the SL550 extremely potent acceleration. Mercedes pegs 0-60 mph times in the mid 4-second range, but the top speed is limited to 130 mph. With a special AMG-built 530-hp twin-turbo V-8 and wet-clutch 7-speed AMG automatic transmission, the SL63 AMG is a serious step up in performance, and at about $40,000 more than the SL550, it feels a lot more exotic from behind the wheel. The SL63 AMG gets to 60 mph in a scorching 4.1 seconds, and with an additional Performance Package you get 557 hp and 664 lb-ft, with a top speed bumped to 186 mph and 0-60 lowered to 3.9 seconds. All of that is accompanied by a glorious, pulsating bark of a soundtrack that far outdoes the M6's muted whir. And if that's not enough, you can step up to the $217,000 SL65 AMG and its twin-turbo V-12, making 621 hp and a mammoth 738 lb-ft of torque. It's basically the definition of overkill, and only marginally quicker than the SL63 AMG in a straight line, while its increased weight keeps it from acting as nimbly. A 7-speed automatic with paddle controls does its part to keep the SL's rear wheels in good graces with the massive output, and with the EPA. With manual, eco, and sport-shift modes, the gearbox has less real range in its acting portfolio than you'd think, but it's consistently a good, quick performer. The SL400 is the mileage leader, managing a relatively impressive 27 mpg on the highway. The SL65 AMG, by contrast, drops that number to 21 mpg. The beautifully trimmed interior is spacious for a sports car, but fits only two. The 2016 Mercedes-Benz SL is both long and wide, and maintains its throne as the "S-Class of sporty cars." The cabin's an inviting one. The driver and passenger are tucked into a wood-and-leather-trimmed module glinting with softly sheened metallic trim and a glowing screen at the center of the dash. A set of control pods organize basic audio functions and COMAND controls, and under a trio of upholstered flip-up lids, you'll find the USB and iPod ports and the convertible top switch. The controls are grouped logically, but aren't all marked transparently. The wide center console flares out toward inboard knees to accommodate a big pair of cupholders—score that a win for us Yanks. Mercedes' shapes and textures tend toward the cool side of the styling spectrum, but the very high levels of fit and finish can be dressed up with choices of ash or burled woods, and brightly colored leather. What's more noticeable, and emotional, is the noise the SL makes. The powertrain's not a hushed, distant piece. 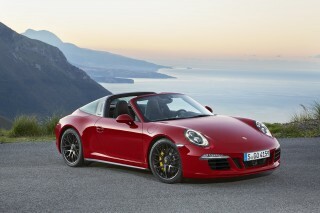 When the top's down, the whistle of two turbos hard at work is unmistakable, and inviting. Meanwhile, the wind and cockpit turbulence are tamed very well; at 120 mph, a baseball hat has better-than-even odds at staying on an occupant's head. Part of the appeal is the SL's decent space, and with the roof lowered, easy access. With the roof raised, getting in requires more of a mid-waist bend but entry and exit aren't as difficult as many sports cars. Once in, the SL's seats are wide and deeply scooped, with fairly flat bottom cushions that can be extended for better comfort. They're very supportive for long-distance cruises, but still, we'd spend for the fancy versions with Airscarf neck vents, heating and ventilation, and active side bolsters that inflate and deflate as the car dives into and out of corners, holding you better in place. Cargo space, however, is tight. The shallow storage area behind the seats is quite small, with room only for an thin laptop or two. With the roof raised there's room for one or maybe two roll-aboards in the trunk, but when it's lowered, plan on bringing soft-sided bags, and make them gym-sized. It hasn't been crash tested, but the SL is packed full of safety technology. All SL convertibles come standard with front airbags, side airbags that extend to protect the head and thorax, knee airbags, and pop-up roll bars that activate in a rollover accident. Anti-lock brakes, stability and traction control also are standard, as are active headrests, wet-arm wiper blades, active headlamps, LED daytime running lights, and Attention Assist, which monitors the driver for drowsiness and lights up a coffee-cup icon on the dash when it's time for a caffeine break. Because it's so expensive and Mercedes sells relatively few of them, the SL hasn't been crashed by either of the two big national testing agencies, but all the latest safety tech is available and Mercedes has a long history of over-engineering its cars for safety. Mercedes bundles a few of the latest safety technologies together in a Driver Assistance Package. Active cruise control integrates with the braking system to detect when a collision is imminent, and to apply brakes to limit damage or to prevent the crash entirely. We have mixed feelings about the utility of this kind of cruise control and the lane-keeping assist that comes with it. However, we feel the blind-spot monitors that complete the trio add a valuable measure of safety, with the ability to help steer the car back into line using directed braking. Among the SL's safety options, the rearview camera should be standard at this price point. Also on offer are parking sensors and park assist, which uses those sensors and electric power steering to angle the SL into a spot while the driver maintains control over the brake. Buyers can coddle themselves with massaging seats and crank the tunes through a Bang & Olufsen sound system. Mercedes added the "entry-level" SL400 to the lineup last year. With a price tag in the mid $80,000-range, it's more than $20,000 less than the SL550. That price difference can be attributed to more than just the engine. The SL400 goes without ventilated seats, multi-contour massage seats with active bolsters, air-conditioning "wind scarf," proximity key, a rearview camera, parking sensors with parking assist, and a power trunk closer. These items are available in a Premium Package, though, and standard on other models. The SL400 does come standard with leather upholstery, wood trim, 12-way power seats, dual-zone automatic climate control, a power tilt and telescoping steering wheel, Bluetooth, a navigation system, ambient lighting, a heated windshield, an integrated garage door opener, and 18-inch run-flat tires. The navigation system is integrated with all the SL's infotainment features via the COMAND controller, a roller-clicker knob with some occasionally arcane motivations. Programming radio favorites is a peeve-worthy process, but once it's set up, COMAND runs the GPS, phone, and audio systems via the controller or steering-wheel buttons. That means fingertip access to satellite radio, iPod audio, HD radio, a six-DVD changer, and an SD card—all piped through 10 speakers of Harman/Kardon surround sound. Mercedes offers its power-folding hardtop with a glass roof panel or with Magic Sky Control, which sounds like a "Summer of Love" warm-up act, but is actually photochromic control that dials in more or less tint. It's the world's most seductive set of Foster-Grants, and a perfect match for the standard power wind deflector and optional Airscarf neck vents and heated and ventilated seats. A trio of features are just nerdy enough to be cool. To keep the front glass clear, the SL offers a wiper system dubbed Magic Vision Control. The fascination with "magic" aside, the wiper uses special blades with channels that spray fluid ahead on the glass, in the direction of their travel, to keep the glass clear outside of the cleaning path. The system's laid out so that the fluid's warmed before it's dispensed, and aero-tuned so it doesn't fly over the windshield onto perfectly styled hair, Tabatha Coffey be praised. There's also a photosensor in the bumper that triggers the small trunk to open with a wave of a foot below—and closes it with a similar motion, too. And third, the SL offers active park assist that allows the car to steer itself into a tight spot while you man the brakes with the press of a button. There's also a pricey Bang & Olufsen audio upgrade, but its thin bass response—despite "Front Bass" speaker packaging—doesn't justify the big-ticket upgrade. Among the options we'd choose are the active multi-contour seats that inflate selectively as you corner briskly. They're in a package with Airscarf, a rearview camera, and keyless ignition. An analog clock and wood steering wheel are relatively inexpensive, as are 19-inch wheels and sport brakes. While you're foregoing the BeoSound, consider leaving the Active Body Control off the order sheet too, since the basic suspension is quite comfortable and well-tuned. On the SL63 AMG, the upgrade to choose is the Performance Package. You get bright red brake calipers, a Torque Vectoring Brake system that makes you more surefooted in tight corners under power, plus a bump in turbo boost from 14.2 psi up to 18.5 psi—increasing power to 557 hp and 664 pound-feet of torque. 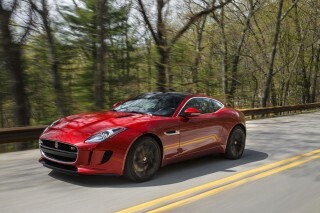 That, in turn, increases the top speed to 186 mph. For 2016, Mercedes is offering 400 Mille Miglia Edition SL550s with special paint, upholstery and trim pieces. The V-6 is fairly efficient, the V-8s aren't bad, and the V-12 drinks fuel. The SL is outfitted with stop-start technology, which shuts off the engine at longer pauses like stoplights, and automatically restarts it when the accelerator is pressed. Some drivers may find it annoying, but it helps save fuel. The feature can be disabled, but it must be switched off each time the car is started by the driver. The SL also has an Eco driving mode, one that grabs the next gear as soon as possible and remaps fuel delivery. GREAT Car . . . NOT so great looking!